Master Investor show has been running for 13 years. Its audience consists of investors, startups and finance professionals. In 2015 the new management has confimed almost 5000 attendees. This year the event wants to reach a new generation that is familiar with the innovative startup culture and needs / wants to learn how to manage their investments, wealth and acquire the right skills how to accumulate it in the first place. The new management team lead by the iconic and influencial super investor and fund manager Jim Mellon, wants to build a bolder event and has a vision for that. With interests in several industries Jim was the founder of a listed fund management company, Charlemagne Capital, and an Asian mining group, Regent Pacific. In addition, Jim is the controlling shareholder and a director of Manx Financial Corporation, an Isle of Man based bank, Speymill Group, a property business, and Webis Holdings. With 471.000 followers on Twitter Jim is a co-founder of Uramin and West African Minerals Resources, both mining groups. Burnbrae, his private company, runs various business units and is a substantial landlord in Germany and in the Isle of Man. Jim also owns the hotel chain Sleepwell Hotels. An avid learner Jim spends most of his time working on investment and startup ideas and investing. Jim is an honorary fellow of Oriel College, Oxford where he did his high Master education studies. A marathon-running polymath with the Midas touch, Jim’s investment funds attract the seriously moneyed and have been extremely successful. Nevertheless, despite being revered by some as Britain’s answer to ‘Sage of Omaha’ Warren Buffett, with a fortune worth more than £850m, is a genuine curious, modest and unassuming person interested in education and continuous learning. 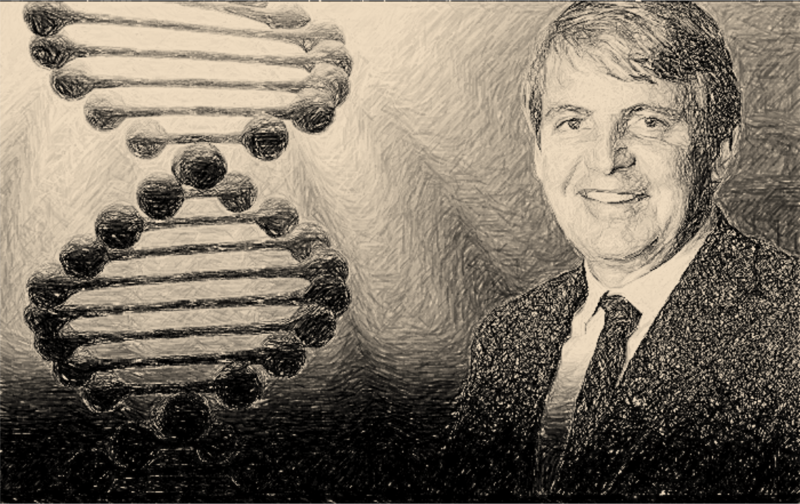 Jim Mellon is investing in the fast forward future looking seriously at the present. After a big break stemming from a timely investment in UraMin, a uranium extraction company, the investor has searched far and wide for investments that track the changing world. With a recent book on the shelves “Fast Forward – The Technologies & Companies Shaping our Future”, it’s an ideal time to reflect on the maven’s past success. The explosion in biomedical pharmaceuticals, an area in which he has a personal interest, is one of the hottest areas in today’s market. Mellon’s 2012 book “Cracking the Code” correctly predicted that boom, and centered on companies that were using computation to extend human life, and increase the quality of that life. More recently, Mellon has been speaking about issues in the UK economy, and the world at large. Last year’s Master Investor saw him make a bold prediction, that the Nikkei would rise above 15,000 in the twelve months ahead. Today the index sits at well over 20,000, a directional, if not exact, prediction of the evolution of the world economy. Right now, he thinks that investments in European property are a great bet. The fall in the value of the Euro, which he correctly predicted last year, is over according to the almost-clairvoyant Mellon, is done, and property will appreciate alongside the currency along with appreciation in its home market. Mellon’s new book, centers around the idea of creative destruction and offers advice on navigating, and investing in, a world that’s rapidly changing. That theme will certainly feature in his Master Investor 2015 address, and “disruption” is likely to be the key word in his presentation, and the presentations of many of the innovative young companies that will be taking to the stage on April 25. Master Investor show event is an unique opportunity in the context of investment shows to network and engage with top investors, speakers, startup founders and be aware of tools and technologies that can make the life of an investor easier. Master Investor 2015, will run this weekend on Saturday the 25th. Intelligenthq shortly interviewed Jim about his personal visions, how he spends his time, the new masterplan for Master Investor Show, finance apps and how he sees the present ever changing landscape of investing, junior mining companies, finance and technology. 1. Can you tell us about yourself, your background, and your education? I gained a masters degree in politics, philosophy and economics at Oxford and then worked in fund management in Asia and the USA before establishing my own investment business, Burnbrae Group, in 1991. Today I spend most of my time on start-up ideas and investing, most notably in the biopharma space. I have also written several books, the latest one of which, Fast Forward, discusses new technologies and how investors can benefit from them. 2. What can you tell us about Master Investor and how do you differentiate it from the other UK similar events? Master Investor is an event that brings together private investors, leading investment experts, companies looking for investment, and service providers from the investment industry. For anyone wanting to find new investment ideas, listen to and learn from industry veterans with unique insights, and meet like-minded people, this is the single best event in the UK. There are several competing events, but with our recent changes we have positioned Master Investor in such a way that it offers attendees a unique and useful experience. – The possibility to try out finance apps to better manage your investments. Or, to invest into young app providers! – Opportunities to experience first-hand some of the exciting technologies that are shaping investment trends. 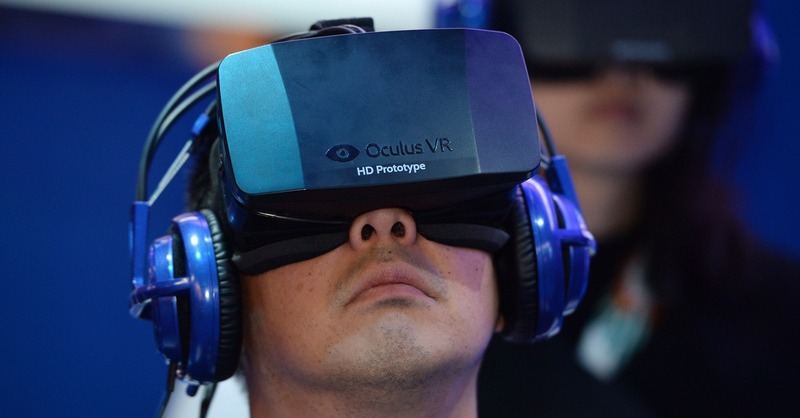 E.g., we have 3 virtual reality headsets from Oculus Rift for our attendees to actually try out. These are not yet available to consumers, yet we have them on exhibit. – Speakers that offer different varieties of insight, e.g. we have Sir Steve Redgrave, the five times Olympic Gold Winner speak about his career in finance and business. The list is much longer than this, and about 50% of the content of this year’s show will be entirely new. 3. After 13 years and with a new management team what are the special highlights of 2015 edition? We have 10 start-up companies there that are not only interesting investment opportunities, but also offer tangible, exciting products. All of which will be on display and which attendees can try out. There’ll be a Tesla S on display, and we expect long queues. Another company will offer a quick test to assess your risk of suffering diabetes. Also, right now is an interesting time to look at junior mining companies, because the sector is completely bombed out and valuations are at a record-low. We have several exhibitors from this industry and everyone can meet their CEOs and explore if they offer a good investment opportunity right now. Analysts don’t usually cover these companies. 4. In your program you mention a rejuvenation of the speaker line-up, the introduction of the Rising Stars stage, the Networking Zone and the VIP Lounge. can you describe each of this list and its highlights? The Rising Star Stage has been a wildly popular feature in previous years. It’s there that particularly promising companies can present themselves to the audience. If you are looking for investment ideas, that’s one part of the event to keep an eye on. 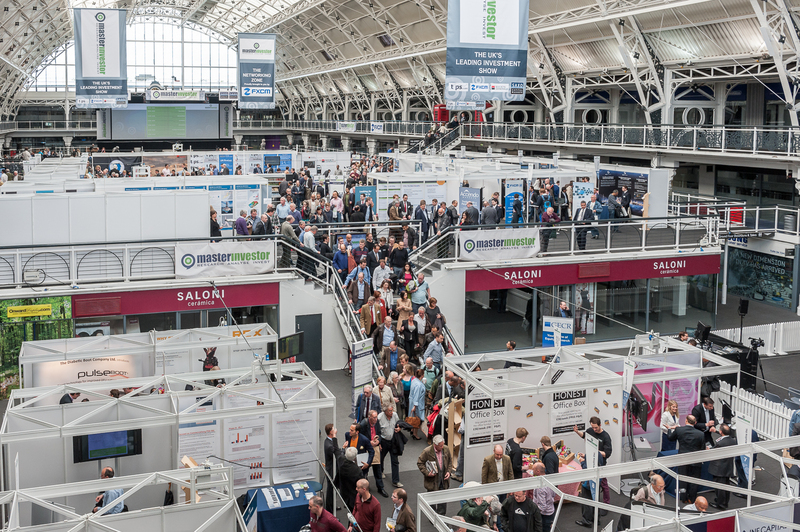 Because of our booming ticket sales this year – we are basically expecting twice as many people as the previous year – the smaller Rising Star Stage is bound to be packed with investors. In our speaker line-up, we offer a very broad selection this year. Just like in previous years, I’ll be offering my insights on what’s happening on the world’s markets and how to benefit from it over the coming 12 months. Gervais Williams is one of the UK’s best small cap fund managers, and he’ll speak about opportunities in that sector. Simon Cawkwell, aka Evil Knievil, is the UK’s best-known short-seller, and he is now writing exclusively for our new Master Investor magazine. And the list continues…. This is an event with a packed line-up of hard-hitting speakers. Our attendees will be spoilt for choice. The VIP Lounge is for speakers and a small number of VIP ticket holders to mingle. For the first time ever, we are selling a limited contingent of VIP tickets. Half of them are already gone, and it’s first come, first serve. These tickets also come with reserved seating for the front rows of the show. For the Networking Zone, we are working to introduce an app to electronically connect attendees. Ticket holders will get an email about this shortly! In short, we have lots of innovations coming up, and we aim to do everything on the highest possible quality level. 5. What other major improvements do you highlight for the Master Investor event? We are excited to be using a new application for our mainstage presentations. Glisser allows you to make presentations much more interactive, with the audience participating through through their smart phones and tablets, and sharing content with their social network. No other investor show in the UK has had this. Again, ticket holder will be informed about this in advance and are advised to download the app before the event. Our WiFi network might not be able to cope with demand on the day! 6. What are the most interesting ideas and exciting investment opportunities you highlight for investors? There are so many transformative technologies in development that it is hard to pin one down. But if I had to give one area a particular highlight, which combines artificial intelligence, with haptics and the internet of things, it is the uncaged robots that are soon going to be everywhere. This will have huge implications for human jobs and for productivity. I think on balance disruption will be positive for most people, but unsettling. 7. How do you separate conventional investing with alternative investment emergent areas such I think as crowdinvesting and peer to peer investing? Crowdfunding and P to P are just alternative channels for investment. Whatever way you invest, the quality of the investment and its price should be the principal determinant of whether you make it or not. It’s not about the channel, it’s about the end result. Check, check and check again! 8. What is your perspective on the emergence of new digital currencies such as Bitcoin for investors? We have a section on this in my “Fast Forward” book. In it, we highlight the flaws in the Bitcoin model – the security issues, the volatility of its price, and the fact that it isn’t yet widely accepted. I don’t think that Bitcoin will be a survivor, but undoubtedly, other forms of crypto currency will emerge, more secure, more accepted and again conferring anonymity on the user. 9. What is your take on social and mobile/app trading and investing tools / technologies for investors? Great – as they are convenient and mobile. All information is good. All ease of use is good. Just don’t press the wrong button!! 10. In your opinion how will the new generation – one that has grown up with open data, social media, alternative investments, crowd investing – react to the investor new fragmented market? As I said earlier, it’s not about the channel , it’s about the ultimate result. Do you, or do you not make a profit. One thing that will become a real feature of investment is that Schumpeterian disruption will occur at a faster pace than ever before. Companies will rise and fall like the proverbial billows and a flexible, well informed approach will be even more important. Investing in the status quo is a road to ruin! 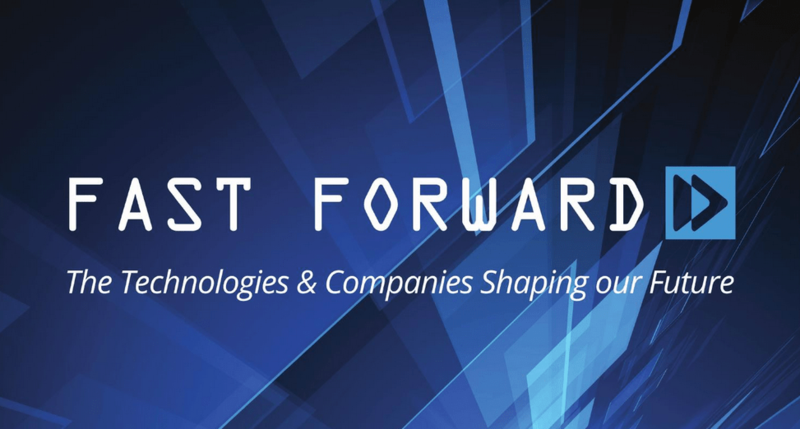 "Fast Forward - The Technologies & Companies Shaping our Future"